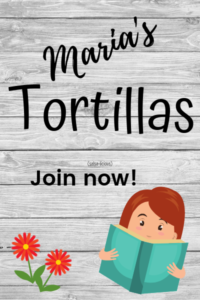 New books, New Look and another giveaway! First off, Happy almost spring! I know. Half the country is drowning in snow. All I have to say is, hang in there! The sun will come out tomorrow (and all that jazz) and in a couple of months we’ll all be complaining about the heat. At least down here in Florida, we will! If you’ve been following my blog or my Facebook page then you know I have 3 new books coming out this spring. I can hardly wait to show you how beautiful my covers are and share some excerpts with you. Look for a big cover reveal on March 20. The three books are all stand alone stories featuring a hot hero and a smart heroine not necessarily looking for love (but finding it anyway) in my fictional town of Whispering Bay (home of my Bunco Babes!). You can pre-order all three books on Amazon, Barnes and Noble, Apple, Kobo, Google, and other digital outlets. To celebrate the books I’ll be getting a new website face lift, as well as doing lots of promotional giveaways that you won’t want to miss. If you haven’t already “liked” my Facebook page, then please do so here! That’s where a lot of the action will take place. Also, don’t forget to sign up for my newsletter. There will be special giveaways for newsletter followers only, and you don’t want to miss that. Now for my current giveaway: Actually, this one is HUGE. It’s on Girlfriends Book Club today, and we’ll be giving away a ton of books to one lucky person who comments. I’ll be giving away a digital copy of A GIRL LIKE YOU. Blog update: (giveaway is now closed), but please check my FB page for more information on upcoming giveaways! ← Previous Previous post: Giveaway!